Paul M. Markowski is an American meteorologist and leading expert on tornadogenesis and the forecasting of supercells and tornadoes. He was a principal investigator for the IHOP, PAMREX, and VORTEX2 field projects and, with Joshua Wurman, Howard Bluestein, et al., was on the VORTEX2 Steering Committee. 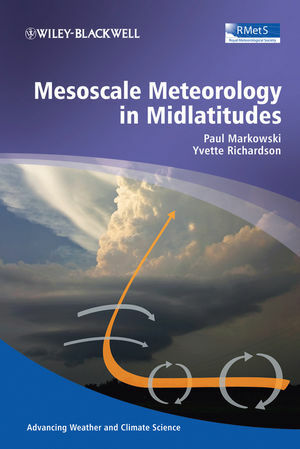 Yvette Richardson is the author of Mesoscale Meteorology in Midlatitudes, published by Wiley. Illustrated in full colour throughout including problems at the end of each chapter. Includes global examples of phenomena taken from a broad geographical area to broaden the appeal of the book to an international audience.